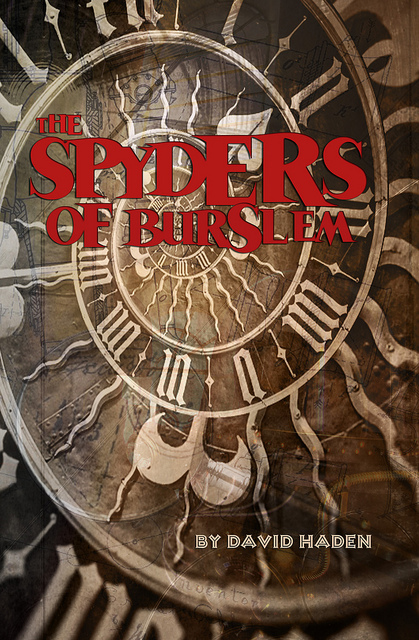 The Spyders of Burslem is a dark historical mystery, published this Halloween. A new and original novel of 60,000-words, rich with authentic period details and characters. Available now as a paperback, and very soon as an ebook for the Kindle. Chapter Two: A Providential Meeting. Chapter Three: The Raising of the Zodiac. Chapter Four: A Pint of the Finest. Chapter Five: In a Darkling Aetherstorm. Chapter Six: Death and Time. Chapter Nine: A Cunning Kiss. Chapter Ten: What the Dark Brings. Chapter Eleven: The Face and the Mind. Chapter Twelve: The Shadows of the Blind. Chapter Thirteen: The Workings of Men. Chapter Fourteen: Lost and Dreaming. Chapter Fifteen: A First Frost.